And indeed, tons of possible inspirations for Blues have been suggested, from Astro Boy, Speed Racer, Cyborg 009, Kamen Rider, Kikaider, and many other manga, anime, and tokusatsu television shows. 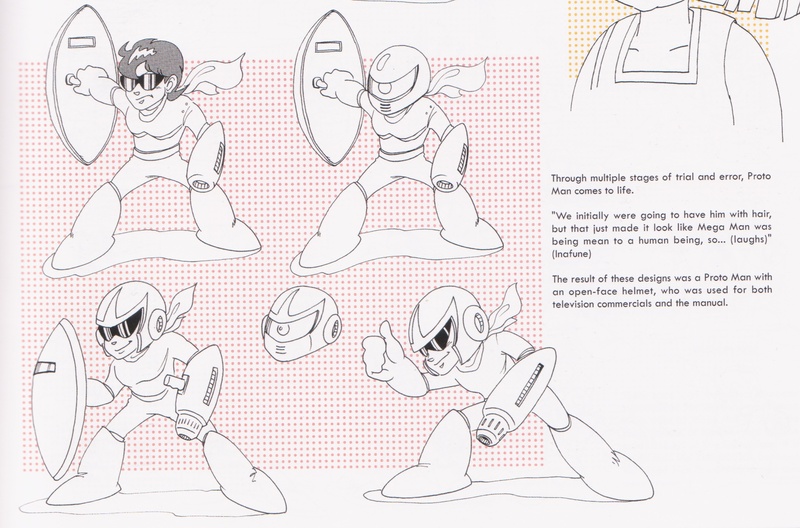 The man of mystery “Blues” appears in certain stages to challenge Rockman to battle. But just what is he, an enemy? An ally? 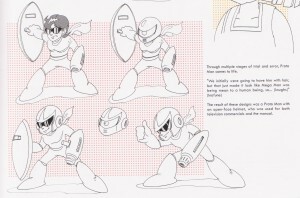 Proto Man didn’t receive any attention in the American Mega Man 3 manual, so those of us on this side of the pond relied on information found in video gaming magazines, like these excerpts from Nintendo Power and the related publication the NES Game Atlas. 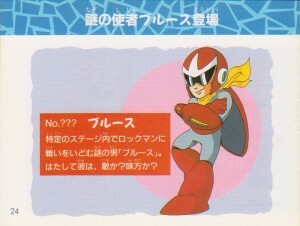 It’s interesting to note that while the Japanese version used the name Blues right away in every encounter except for the “Break Man” stage directly before Dr. Wily’s fortress opens, the American magazines portrayed Proto Man as completely calling himself Break Man up until the revelation that he was Mega Man’s older brother Protoman at the very end of the game. 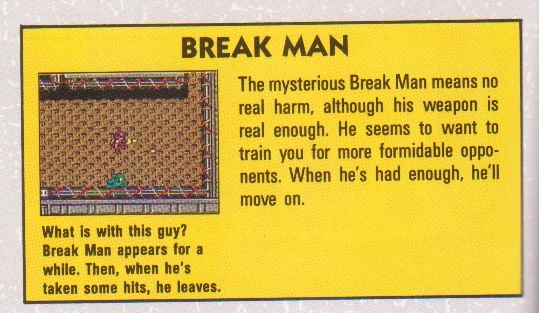 This lead many Mega Man fans to call Protoman Break Man or use the two interchangeably, rather than only using it to refer to his specialized “Joe” style helmeted version. 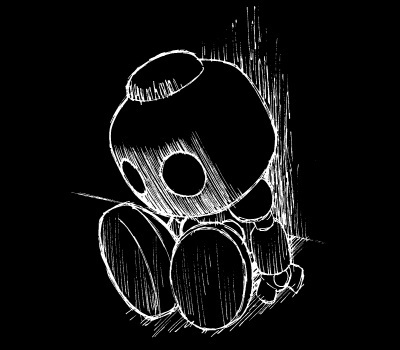 We’ll talk a bit more about the Break Man persona later on. 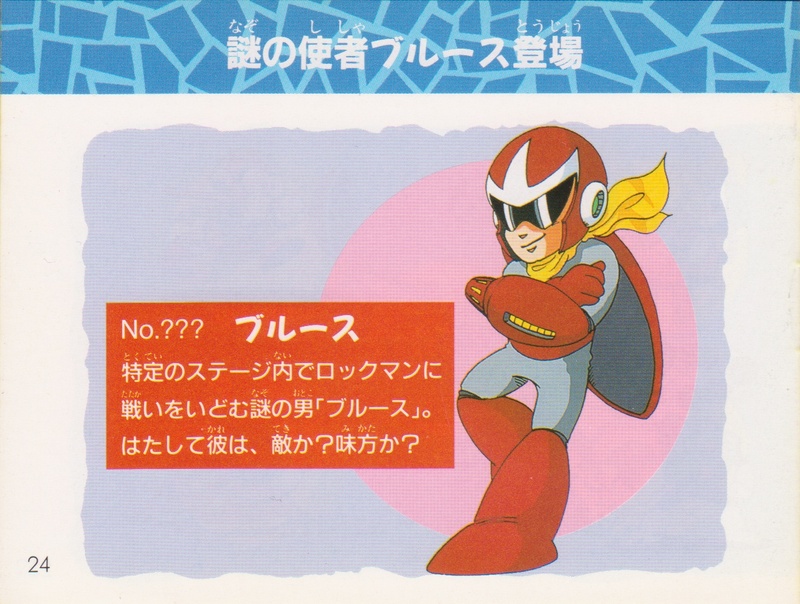 For the next installments of Blues week, we’ll be looking at the profiles of Blues in Japanese Rockman books over the course of the games, seeing how his portrayal has changed through the years. 3 Comments to "Break Man Begins"
Not quite sure how the Nintendo Power guys (and the writer of The Official Guide to Megaman) decided that “Breakman” was training Mega, though. Good question! I wonder if it was part of the information Capcom USA sent them, or just their own conclusion based on the ending? « I like Big O.